Murder, mystery meat and morning sickness! Hudson and Lovita are expecting and she’s having trouble keeping food down for the first time in her life. Her best friend, Sue Jan is busy juggling mommy-hood. And the Crown of Glory Beauty Salon and Boutique is busier than a one-toothed man in a corn-on-the-cob-eating contest. Things are great until a handsome law intern disappears after an argument with their top stylist’s once-upon-a-time wayward son. So Lovita and Sue Jan put down their forks and pick up the trail to solve the mystery before Jolene’s son has to trade in his chef’s uniform for prison stripes. 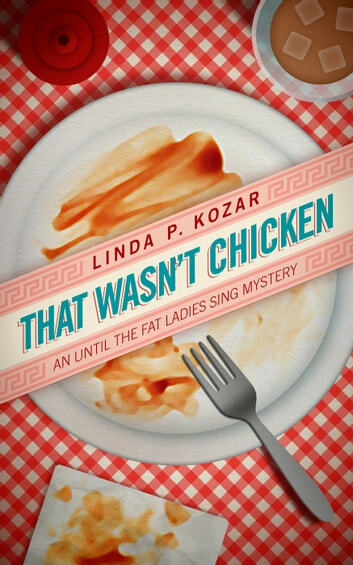 But the super-sized sleuths soon discover something very unusual about a popular new barbecue restaurant in town. Does everything taste like chicken, or did they risk it eating brisket?